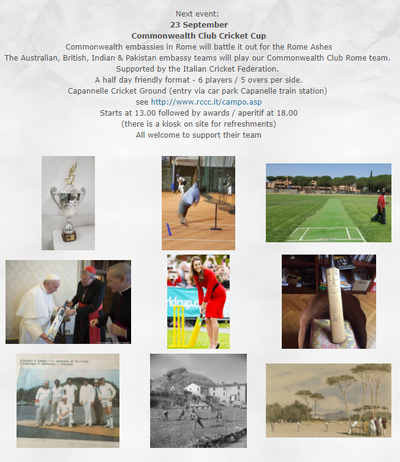 Commonwealth embassies in Rome battled it out for the Rome Ashes. 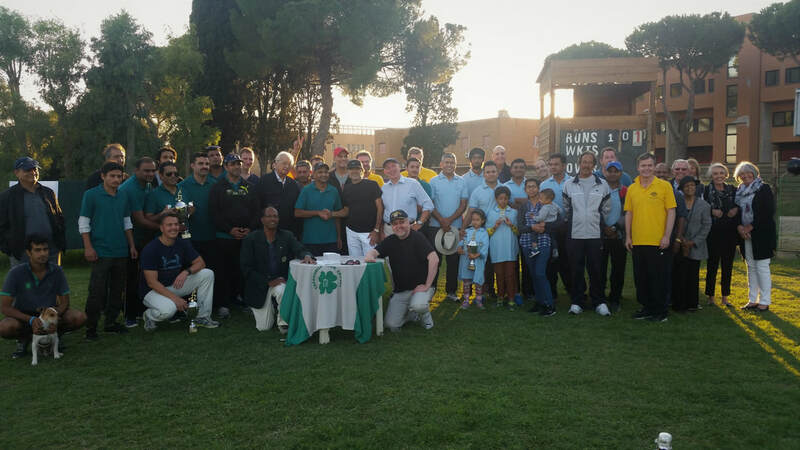 The Australian, British, Indian & Pakistan embassy teams played our Commonwealth Club Rome team. 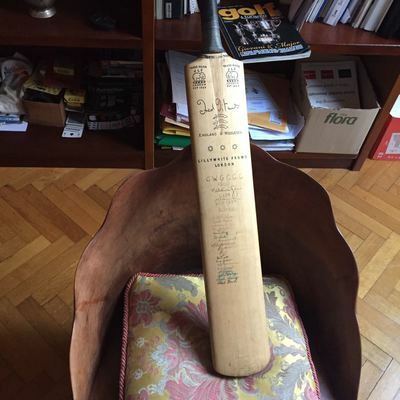 Supported by the Italian Cricket Federation. A half day friendly format - 6 players / 5 overs per side. The Pakistani Embassy team won the Cup. Shaking off the dust of almost 40 years, the Rome Ashes revived in the wide green open fields of Capannelle cricket ground on Saturday afternoon. The match was played in glorious sunshine on a pitch surrounded by majestic umbrella pines with the pale Apennines barely but hazily visible on the horizon. To set this match in context, we need to go back to after the Second World War, when the British and Commonwealth community in Rome was large enough to generate interest in forming a cricket league. A British official was reportedly overheard voicing his frustration at the lack of a ground during an Embassy function to celebrate the Queen’s birthday in 1962. He was fortunate that the couple earwigging were Princess Doria Pamphili and her husband, the British admiral Frank Pogson. They subsequently invited him to their estate to see if they could offer him a suitable space for a ground. 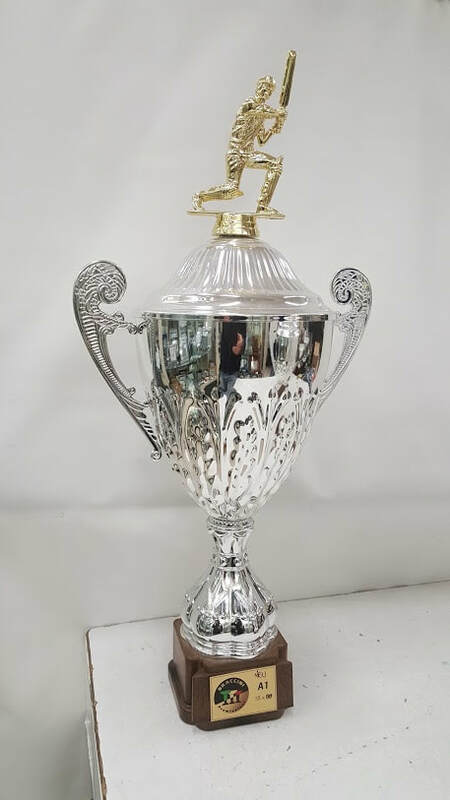 Once a site had been identified, a tournament was devised, featuring teams from the British Embassy, the Australian Embassy, the Commonwealth War Graves Commission, two religious colleges and FAO (the Food and Agricultural Organisation of the United Nations). The body to coordinate cricket in the city, the Rome Cricket Association, was founded, and to generate interest and mirror the rivalries from the competing teams the series was dubbed the Rome Ashes. Sadly, the tradition began to die out when Villa Pamphili became a public park in the seventies. 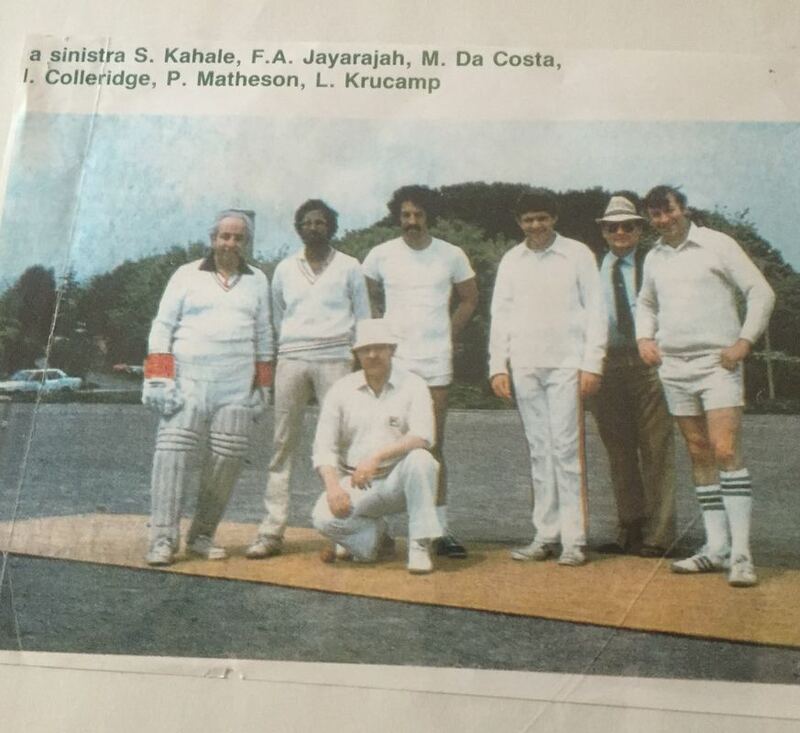 Alfonso Jayarajah, a binational Sri Lankan Italian, working in FAO and Massimo da Costa, a binational Indian Italian, working in the Australian emigration offices, played in those Ashes. These two tenacious young men looked for another site and founded the Roma Cricket Club in 1983 right next to the racetrack which then went on to dominate Italian cricket tournaments for many years. Remarkably, Alfonso and Massimo, now in their seventies, still play competitively today and coach youngsters twice a week in the nets at Trastevere. 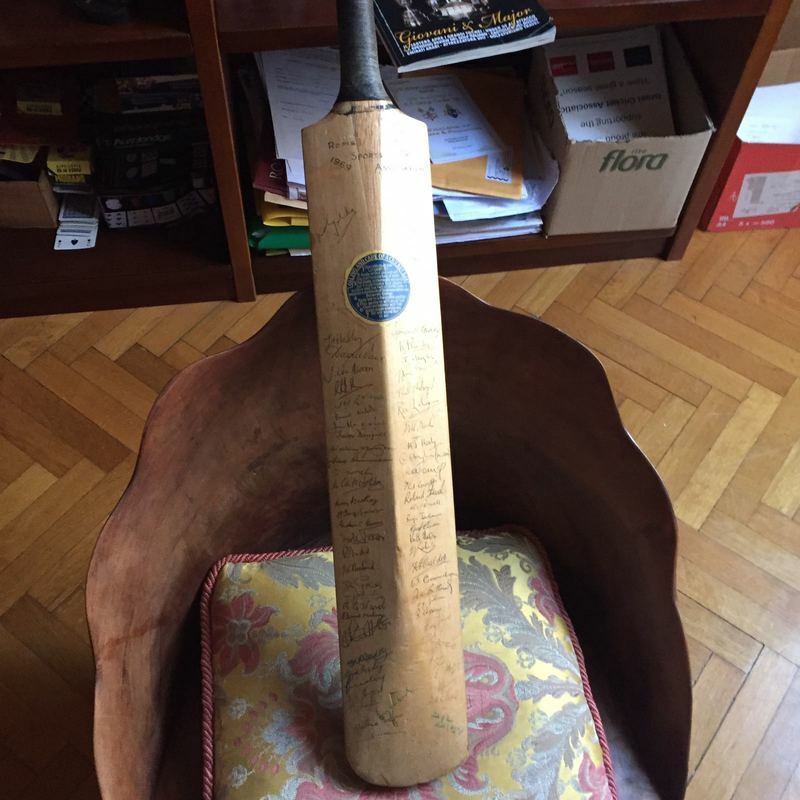 And so how fitting that on this Saturday, these two veterans once again picked up their bats to play for the Ashes in the Commonwealth Club team, captained by Edward Mura and including Patrick Rata, the New Zealand Ambassador. 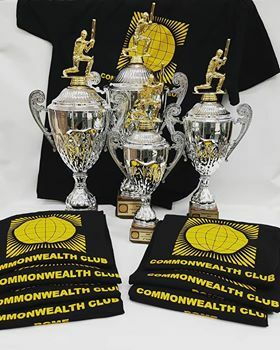 Against the Commonwealth Club were pitted four Commonwealth Embassy teams from Australia, Britain, India and Pakistan, all dressed in traditional colours and including three Ambassadors. 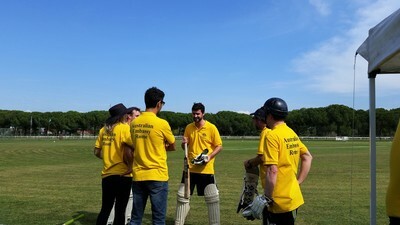 Supported by the Italian Cricket Federation, the event comprised an afternoon half-day friendly format with 6 players on each team limited to 5 overs per match apart from the final played over 7 overs. 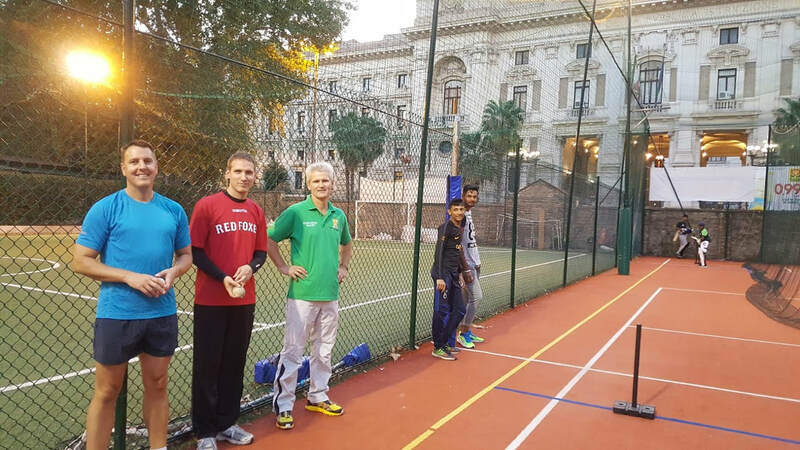 The crowd of families, Commonwealth members and guests, including some Italians completely new to the game, grew in number as the match went on. Greg French, the Australian Ambassador, led out his Embassy team in the opening match against the British Embassy whose ranks included Lindsay MacDuff, the Military Attaché. Philippa Holbrook, the only lady player on the day, strode out to open the batting for the Australian Embassy only to be caught square driving the third ball into the hands of a delighted fielder. The “Aussies” ended up losing narrowly to the “Poms”. The first Roman Ashes of the day had gone to Britain. 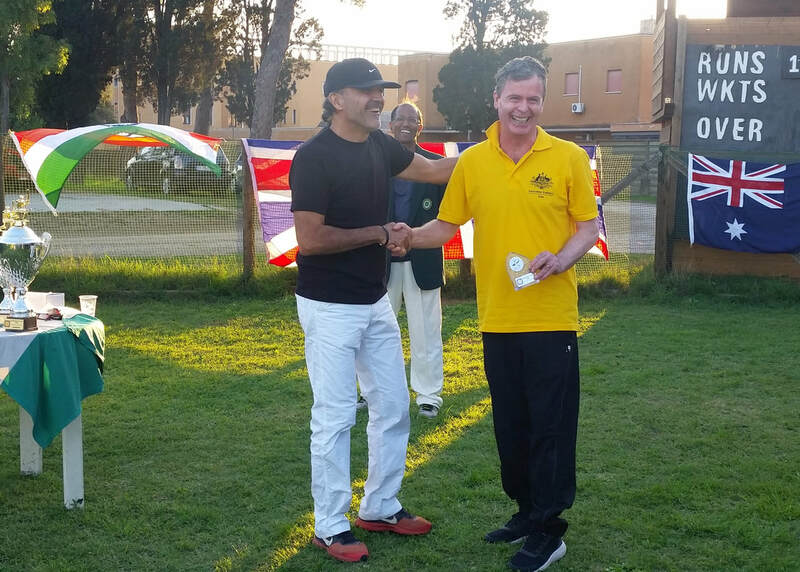 The second match saw the Indian Embassy team drawn against the Commonwealth team who could also count on the talent of Alfonso’s son Leandro, the bowling skills of Patrick Rata, and the vigilant eye of wicketkeeper John Levins, the Club Treasurer. India, led by Surendra Manral, voted the tournament’s best fielder, won the match perhaps due also to the whole team training in the Trastevere nets during the previous weeks’ build up to the match and again in the Capannelle nets on the morning of the match. 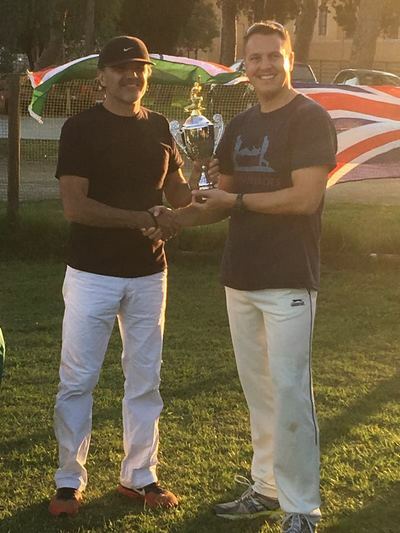 The third match was again close with the British team losing out narrowly to Pakistan despite a remarkable innings by Tom Seeds, deservedly voted the tournament’s best batsman, who hit an extraordinary full flush of six sixes in one over despite the interruption of one “no ball”! 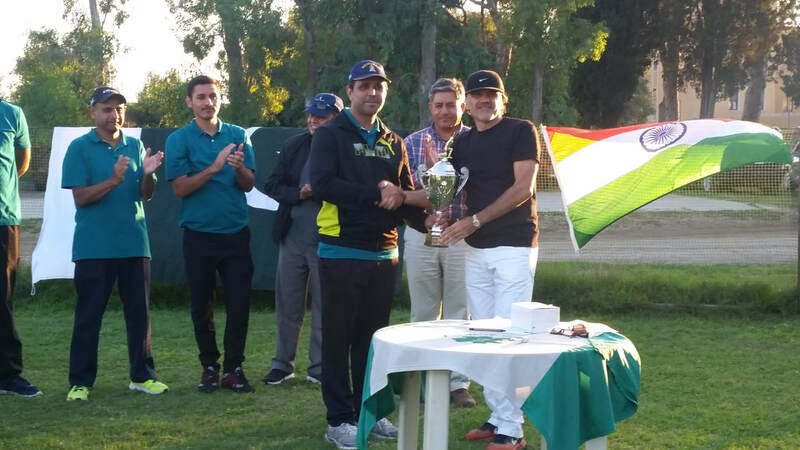 The Pakistan embassy, led by their ambassador Nadim Riyaz, and well-supported by Naqi, voted best tournament bowler, beat India in a thrilling hard hitting and hard bowling seven over final. It was therefore, Pakistan, a team that had not participated back in the golden age of Rome cricket in Villa Pamphili, that finally lifted the Ashes Trophy. 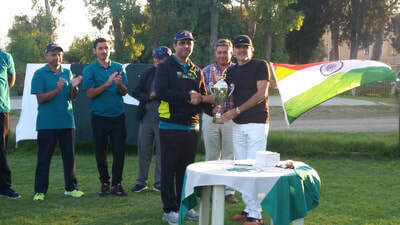 All the matches were played in great spirit and good humour and all the participants expressed a wish that the tournament should be played again next year. 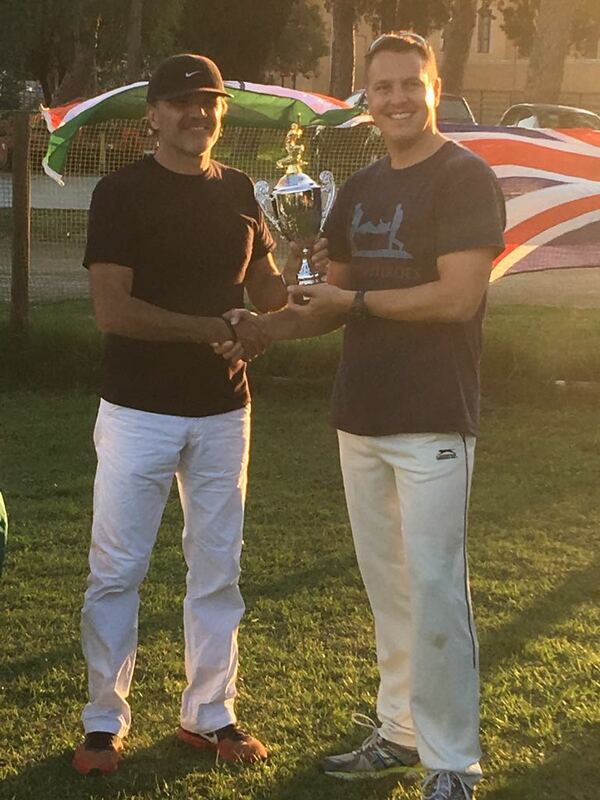 The holders are Pakistan, but it looks like the Ashes are back to stay and more Embassy teams are expected to line up to contend them next year.